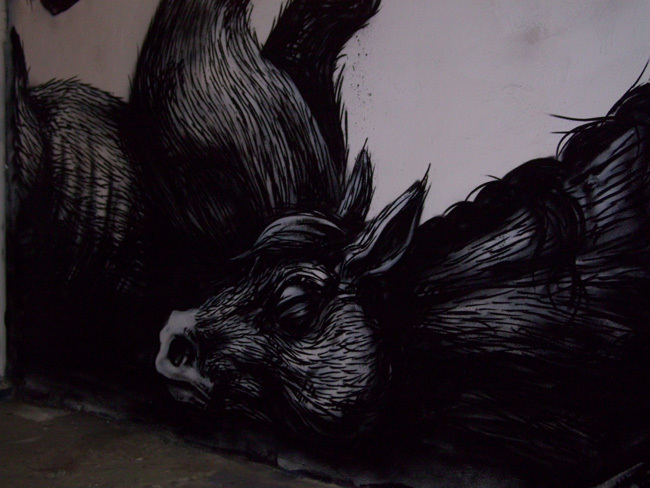 I have been going around London many times to try to snap up some street art and came across ROA’s stuff on several occasions. 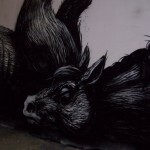 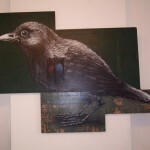 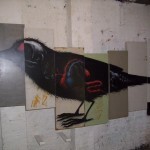 I knew little about the guy from Ghent (Belgium) and was therefore very keen on finding out more about him and his obsession with picturing large scale urban wildlife through his spray paint cans. 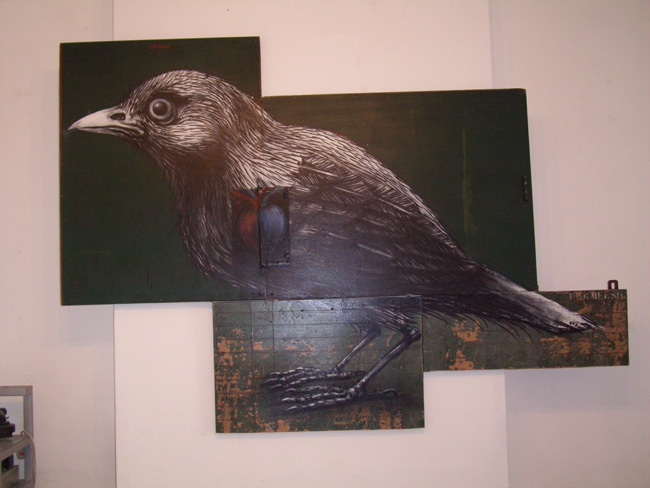 I headed then to Pure Evil gallery for what I was pretty convinced would be something very different with most exhibitions I have seen so far this year. 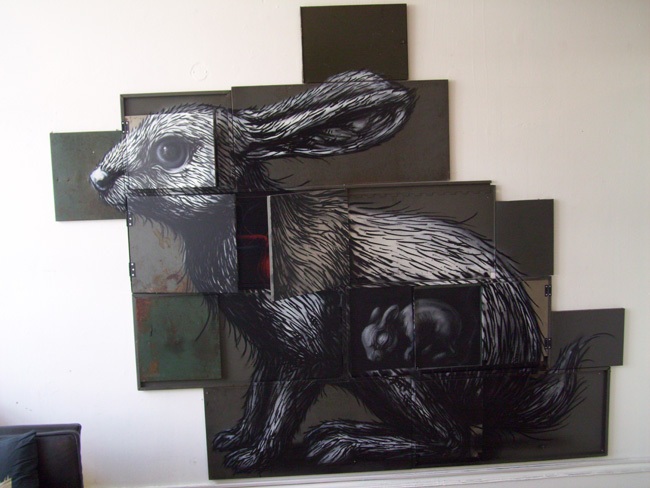 Huge rabbit, squirrels, cows, … they were all there on display. 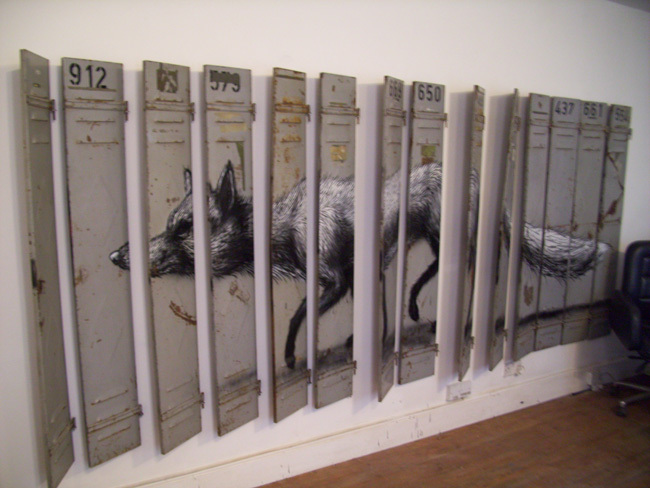 Some on the walls of the gallery which ROA specially made for this show and some on metal or wood panels hinged to reveal internal parts. 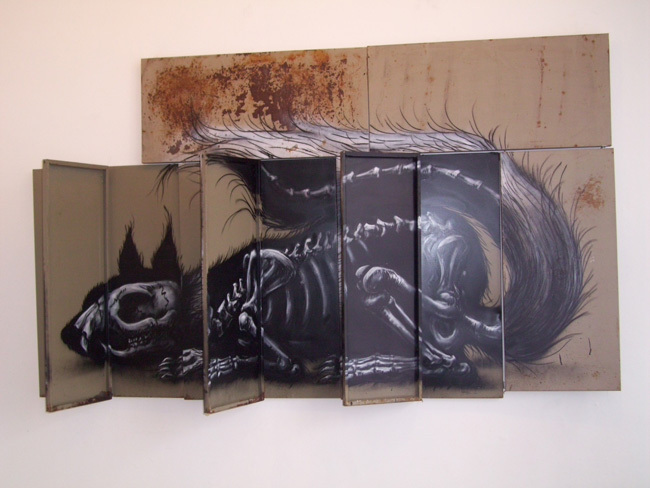 ‘Hinged to reveal internal parts’: at first you may find yourself thinking these would be a delight for any animal anatomy lovers but then you realise how clever this is – flip over the panels and you get a complete new picture of the animal, close the door that leads to the basement of the gallery and the rabbit head is now only a skull. 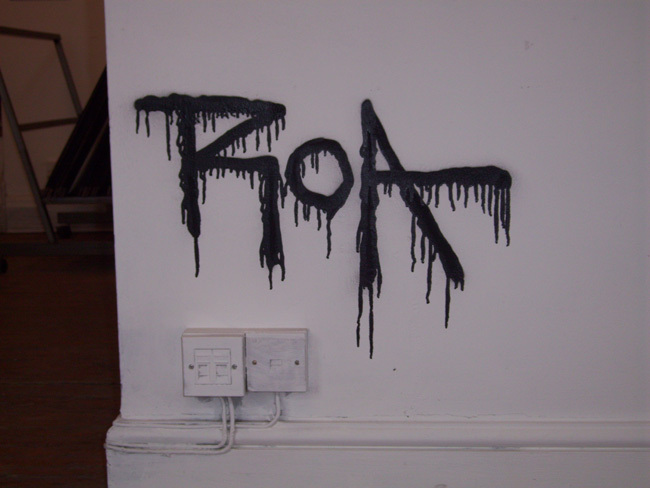 Interactivity with the artwork, that is what it is called and that is not something you are able to do very often so well done ROA. 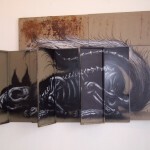 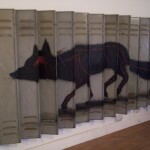 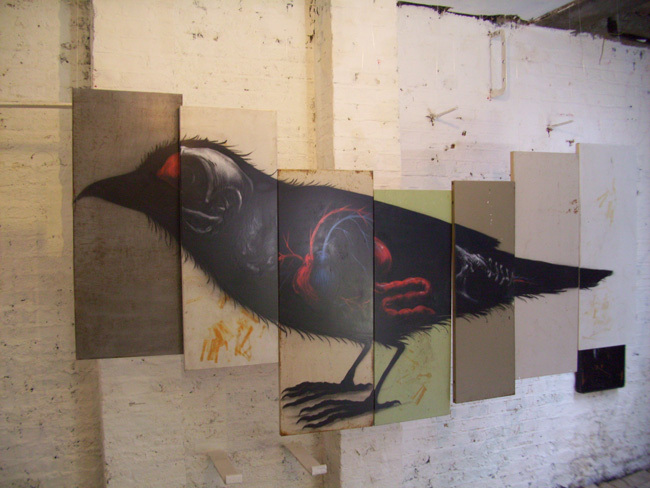 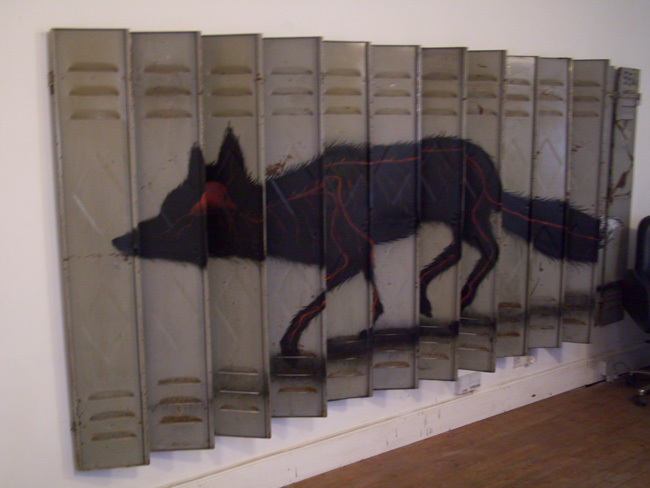 As always, ART-PIE totally backs up the use of random supports and ROA does just that – metal doors lockers, pieces of wood put together or straight onto the wall. 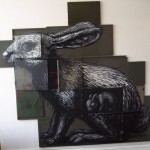 Push the boundaries of art, go beyond the canvas edges. 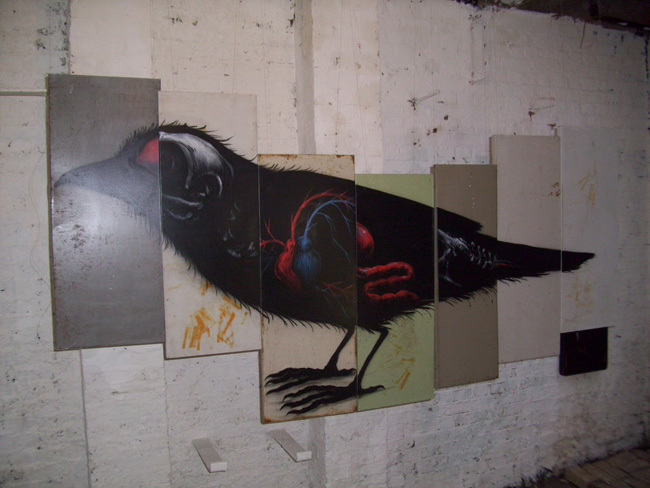 Pure Evil gallery has done a very good job here and has used at its best the gallery space. 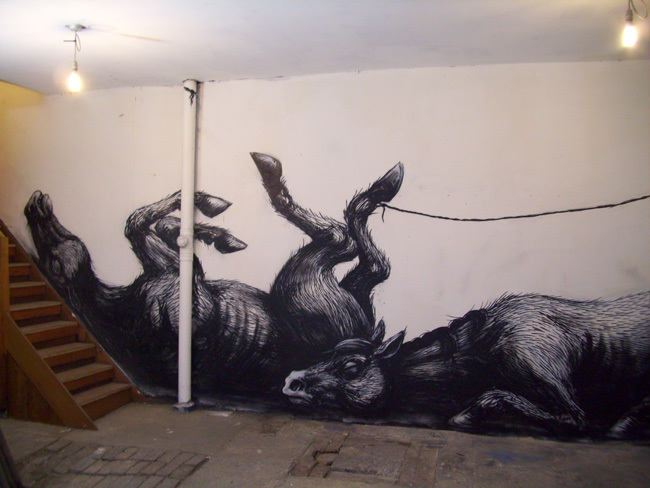 Head downstairs and you’ll see that huge piece flanked on the wall of two bulls/cows looking asleep with one on its back. 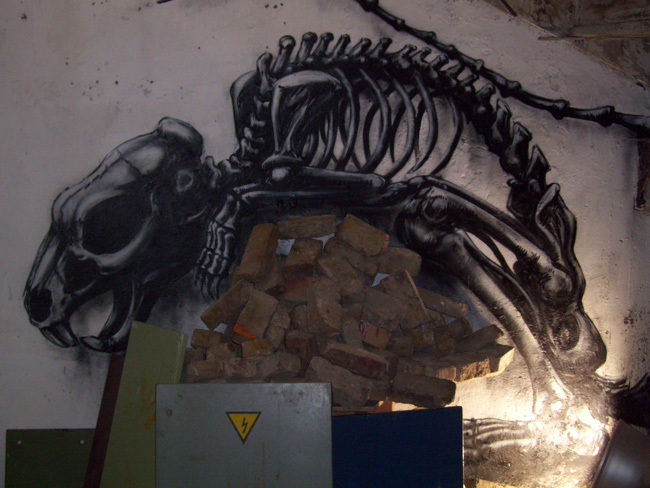 A small room at the back is playing a short movie about ROA, turn around and there you have it, my favorite piece: spray painted of what looks like a skeleton of some sort of feline resting on a pile of real bricks probably discarded one day but having found their use here to make up an awesome ‘trompe-l’oeil’. 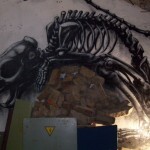 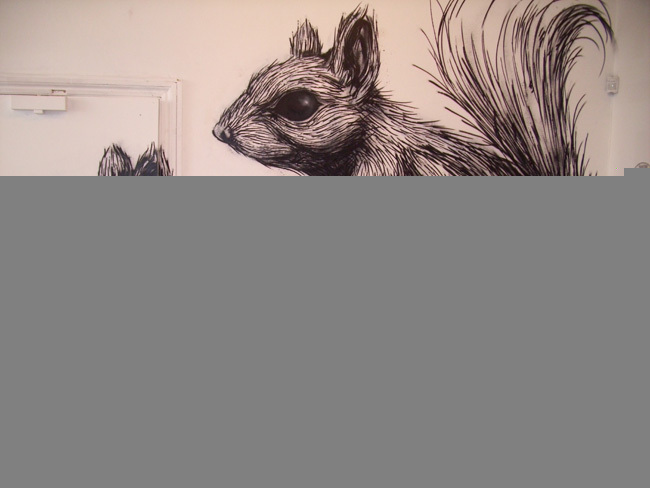 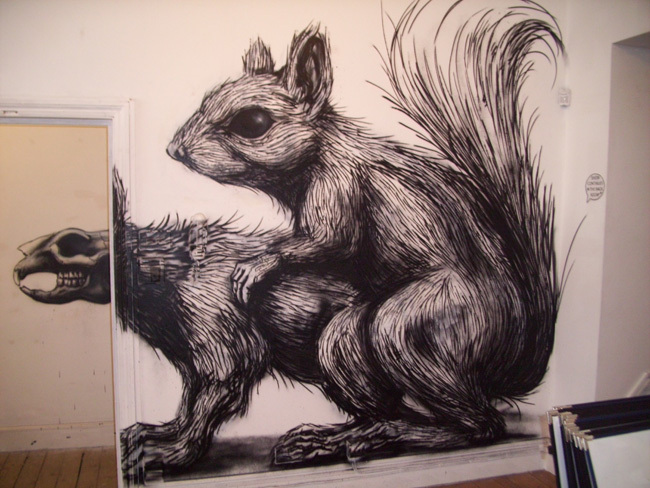 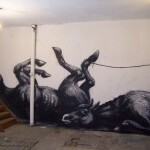 What can look at first as a unfinished space gallery (and I believe it is) fits nevertheless so well ROA’s works. 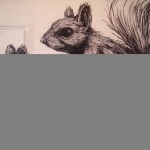 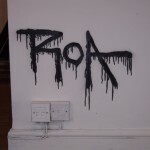 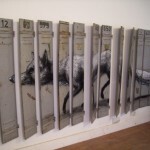 The exhibition runs until the 2nd May 2010 and is ROA’s first solo exhibition so you would not want to miss that. 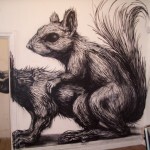 Talking to Pure Evil gallery, ROA is planning on throwing 4 pieces around East London so next time you walk around this area, look out for the giant rabbit or squirrel. 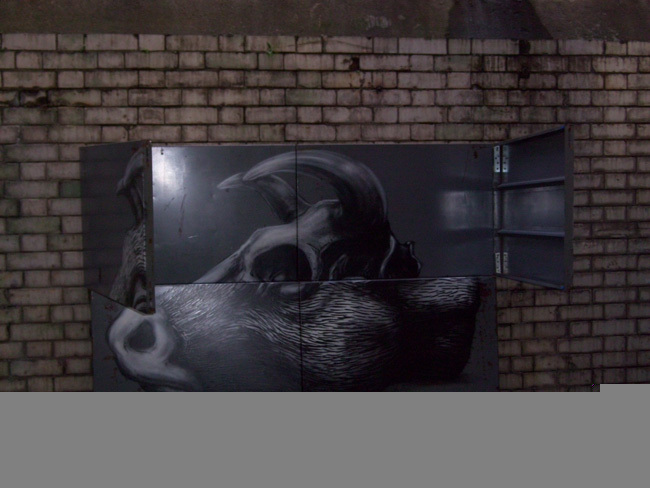 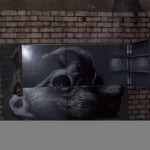 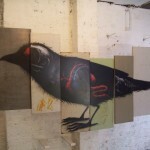 > Rabbit on Curtain Road (East London) – hurry this piece will be painted over tomorrow!